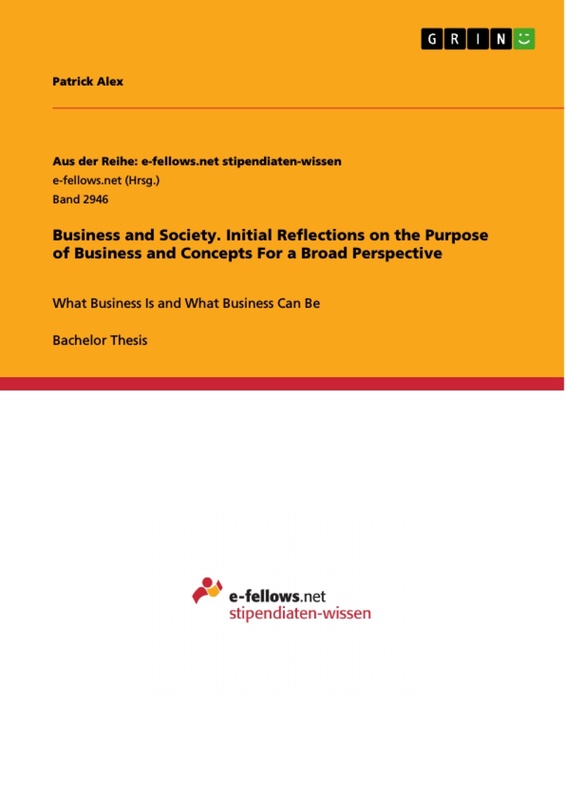 This bachelor thesis evaluates the very purpose of the existence of business in society. Starting with the conventional motives of profit maximisation and shareholder value for its destined owners, the argument expands towards a broad perspective of business arguing that profit maximisation is not the (sole) purpose of business existence. The argument is made by looking in conjunction at stakeholder theory and sustainable operations of the firm, stressing that business operations not only out of instrumental, but also normative reasons should incorporate a broad perspective. Evaluating the two different perspectives it is argued that they can be integrated into a concept not compromising each other, but complementing one another and generating shared value for business and society at large. There are several concepts presented, focusing eventually on the concept “Creating Shared Value", developed by Porter and Kramer. Its applicability and potential is tested by evaluating two business examples. Since Adam Smith’s ground breaking work “An Inquiry into the nature and Causes of the Wealth of Nations", published in 1776, business and its linkage to value creation has always been controversial. In the last decades, the negative notion towards business has intensified and popularity of business and trust evaporated. In Gallup’s 2010 annual poll on confidence in institutions “big business" ranks at 19 percent confidence rating, slightly above US congress at 11 percent (Saad, 2010). Gallup is not the only ranking indicating that business has seen its more popular days. US Roper Poll revealed in 2005 that “72 percent of respondents believe wrongdoing was widespread in the industry" (Garner, 2007, p. 1). Another study conducted in 2013 by McKinsey & Company, a consulting firm, states that levels of trust in business are below 55 percent in most countries (Browne & Nuttall, 2013, p. 2). Grassroots movements such as Occupy Wall Street, a movement founded in 2011 criticising income inequality in the United States, only further emphasise the plunge in trust, business has experienced in recent years (Gautney, 2011). Agreeably, not unjustified due to the outcome of the financial crisis and a wide array of corporate scandals, beginning with Enron and continuing with Lehman Brothers. The Edelman Trust Barometer, one of the major German pollsters on trust and credibility of governments, NGOs, business and the media further exemplifies the negative perception of business among the public. Only 28 percent of respondents ranked corporate CEOs as trustworthy in 2015 (Edelman Deutschland, 2015, p. 11). Taking recent scandals aside, it is fairly surprising that business is seen overly negative in public opinion. Businesses have communicated strongly that profit maximisation is not their sole purpose of operations. For instance, a 2006 Harvard Business Review article stresses that “64 percent of the 250 largest multinational corporations published CSR reports in 2005 [...]" (Porter & Kramer, 2006, p. 3) and nearly all are engaged in some kind of philanthropic activity. Corporate social responsibility is high on the corporate agenda since the 1950s. In academia, Archie Carroll, a CSR expert has identified in his paper “Corporate Social Responsibility: Evolution of a Definitional Construct" Bowen’s 1953 work “Social Responsibility of the Businessman" as the founding work of corporate responsibility and citizenship (Carroll, 1999, p. 269). Nevertheless, the negative notion towards business persists, stressing the concern that there might be a deeper alienation between business and society at play. This is the starting point for the following analysis. How to reinstate trust in business and communicate its potential to society, while current and previous CSR did fail and make it even more difficult for businesses to operate? The thesis puts the corporation at its very centre of argumentation intending to shift away from reactionary behaviour created by external pressure, but focusing on the core of business operations, evaluating, how business can deliver superior value for society without compromising the bottom line. “Language helps us make sense of the world, and is almost always inextricably normative and descriptive. Language is about meaning-making and shared understanding” (Freeman & Harris, 2009, p. 688). The thesis is set up of several stages building upon the key hypothesis: There is a deeper purpose of business activity going beyond profit maximisation and a broad perspective is not only more beneficial to society, but presents new opportunities for the firm to generate value and contribute to its bottom line. To test this hypothesis, sufficient desk research has been conducted aimed at framing the purpose of business, drafting a complete picture of the different arguments in academia and gaining objective transparency of the overall research. 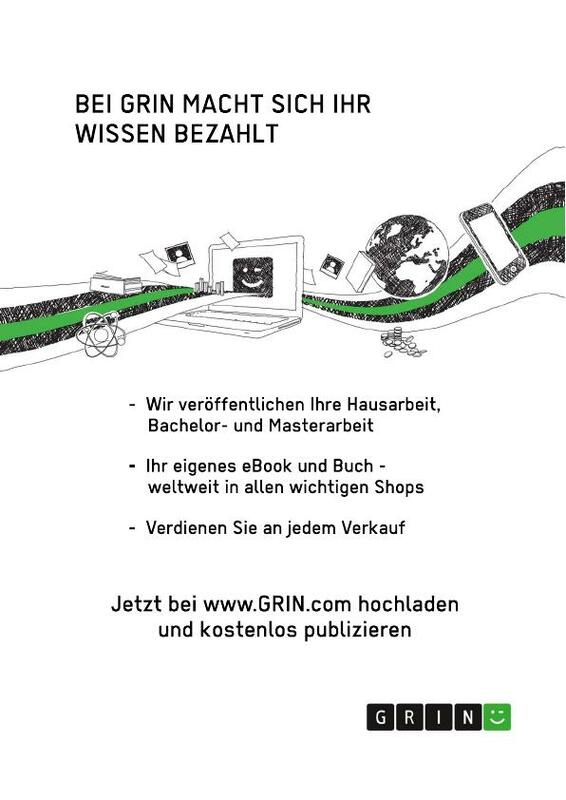 For conducting the research, mainly the database ‘EDDI’, provided by Reutlingen University, was used to get access to peer-reviewed journals and other articles. The online archives of ‘Harvard Business Review’ and ‘The Economist’ were additional databases accessed during the research process. Wherever possible reputable, peer-reviewed journals were selected, with specified books and newspaper articles complementing the research. The research collected is presented in a structured way divided into a ‘narrow’ and a ‘broad perspective’ followed by an analysis and evaluation. The second, more practical oriented part of the thesis looks at concrete concepts for a broad perspective of business. The most recent and reputable ideas in academia are presented with the Creating Shared Value concept by Porter and Kramer being selected for a more thorough analysis, due to several special characteristics the concept inhabits. To evaluate the practical relevance of the concept two corporations were identified that have implemented the Creating Shared Value concept. During the course of the thesis, the reader gets a comprehensive overview of the academic literature conducted in the field and is presented with a concept aiming for a linkage of theory and practice. Eventually, the core hypothesis will be answered by theoretical and practical arguments in conjunction with other statements resolving the question: Why business exists and whom it serves. Business can rightfully be criticised for its many failures, but we can only appropriately approach this issue avoiding to slide into systematic criticism by asking what business is for. A valid point in this direction is made by Sternberg in his 2009 article “Corporate Social Responsibility and Corporate Governance" stating that “[a]rtefacts and activities are most sensibly evaluated by reference to their definitive ends" (Sternberg, 2009, p. 6). He follows a teleological argumentation asking for the initial function of an object. A simple example can be drawn, comparing it to a ‘knife’. Commonly a ‘knife’ is judged by how well it cuts, thus to be able to correctly judge ‘business’ one has to find out what its function is and then determine if it is fulfilled or not. There is a multitude of academic literature intending to determine the universal purpose of business and most of the researchers enter their argumentation with the most common perspective: “[...] The social responsibility of business is to increase its profits" (Friedman, 1970, p. 5). Prominently made by Nobel laureate Milton Friedman in his equally titled New York Times article. His argument is by far only an infamous one among many others. Tom Donaldson quoted by Duska in 1997 in his journal article “The Why’s of Business revisited" argues, “[t]he fundamental purpose of a business is to make a profit for its owners, but I would say that is not its only purpose" (Duska, 1997, p. 1402). The following paragraph will therefore present a general collection of the most cited academic perspectives on the purpose of business. Beginning with a statement made by Peter Drucker and shared by many others defining the purpose of the firm as “[...] to create a customer" (Drucker, 2006, p. 37): A statement made in his book “The Practice of Management" first published in 1954. The perspective of this argument lies outside the firm and commonly aligns with the marketing objective of “[...] producing goods and services and satisfying customer needs" (Boone, 2015, p. 6). The customer is identified as the stakeholder group to be primarily satisfied, not the shareholders of the corporation. The importance of serving one’s customer is emphasised in Bill George’s 2003 book “Authentic Leadership” stating that “[c]ompanies can only survive as long as they serve their customers better than their competitors do” (George, 2003, p. 62). It is not only academia making this argument, but also several corporate executives sharing the same argumentation. For instance David Packard, founder of Hewlett Packard, comments on the question “What is business for?” that the firm’s “[...] real purpose is to produce something of value, providing something which is unique that makes a contribution to society” (Collins & Porras, 2002; Jordi, 2010, p. 199). Often associated with this perspective on the purpose of business is commonly an appreciation of the firm’s internal stakeholders, the employees. Japanese companies for instance mostly rank customers first on their priority list and directly afterwards coming their team members (Carson, 1993, p. 174). Bill George shares a similar opinion arguing “[w]ithout people and without customers, there is no firm” (George, 2003, p. 201). In particular nowadays, where most of the capital of the firm does not lie in its tangible assets (buildings and machinery), but in its intellectual property created by its employees (Handy, 2002, p. 5). A more liberal perspective on the purpose of business states that a firm’s purpose is truly unique and cannot be broken down into a universal argument. Proponents of this opinion are, among them Michael Porter, Mark Kramer and John Mackey, the cofounder of Whole Foods Market and author of Conscious Capitalism. In their book, “Conscious Capitalism”, Mackey and Sisodia argue that every firm possesses its individual purpose, defined in its mission and vision statement (Mackey & Sisodia, 2013). They quote several examples, for instance Google’s mission “organising] the world’s information and making it universally accessible and useful” (Google Inc., 1998). Kramer and Porter argue in their article “Creating Shared Value" that each firm’s value proposition is unique and consequently what it can offer to society and define as its purpose (Porter & Kramer, 2011). This perspective leaves great flexibility to the firm and is more oriented towards the entrepreneur, but makes it difficult to frame expectations towards business and complicates the creation of objective evaluation criteria to determine, if business(es) fulfil(s) their expectations on which they can be judged. Nevertheless, this argument opens up an interesting perspective on the firm, embracing its uniqueness and its diverse potential. No business is exactly the same and therefore offers differing value propositions to the customer. Another assessment on the purpose of business allocates a great portion of responsibility towards corporations, arguing that its newly defined purpose is to be a political actor. The argument underlies the opinion that firms have become increasingly involved in politics and policy making. Due to its size, ‘big business’ carries the responsibility to tackle global challenges, NGOs and government cannot address by themselves (Scherer, Palazzo, & Matten, 2014, p. 143) . This perspective orients itself on the notion of the firm as a corporate citizen, based on an early definition of social responsibility by Joseph William McGuire in his book “Business and Society" adding to his statement on CSR, that “[t]he corporation must take an interest in politics, in the welfare of the community, in education, in the happiness of its employees and in fact the whole social world [...]" (Carroll, 1999, p. 272). Continuing with the argument that “[b]usiness must act justly as a proper citizen would do" (McGuire, 1963, p. 144) . These different perspectives on the purpose of business give a broad overview over the wide range of opinions. In the following section, a categorisation is proposed to structure the different arguments, allocating them in one of two categories, a narrow and a broad perspective of business. As presented in the previous section, there are many different statements made on the question of the purpose of the firm. However, for the outside reader and the corporate executive it becomes increasingly difficult to identify common characteristics to frame a valid and funded opinion. Even for the academic, specialised in the topic, it becomes easily confusing, especially as the purpose of business is often combined with its responsibility and thereby grounded in ethical, sociological and philosophical argumentations (Votaw, 1972, p. 25). The field is truly interdisciplinary and therefore it is only sensible to attempt a categorisation of the different perspectives. A possible proposal could be dividing the field into ‘a narrow perspective of business’ and ‘a broad perspective of business’. The two categories are sufficiently general to accommodate the allocation of most of the assessments of the purpose of business. Under a narrow perspective is understood to see the firm mainly tied onto the bottom line, oriented towards financial return and generation of shareholder value as its fundamental objectives. Other responsibilities and obligations the firm might possess towards the greater society are disregarded and perceived as a violation against the owners of the firm (Friedman, 1970; Sternberg, 1997, p. 8). The term ‘broad’ on the other hand implies a different, extended perspective onto business, looking at the firm tied in its environment and as a vital, interdependent component, having to rely on more than profit maximisation and shareholder value, not only out of normative reasons, but of true business sense. In the following sections are presented in greater detail the defining components of the two perspectives, explaining the relevance of profit maximisation and the relationship between business and its owners within the narrow perspective of business operations, followed by the responsibility of business towards stakeholders and sustainable operations of the firm within the broad perspective of the firm. The profit maximisation principle is one of the grounding theories of economics almost entirely transferred into business theory and therefore a vital component of the reflection on the purpose of business. Expressions such as “[t]he business of business is business" (Duska, 1997, p. 191) are shared not only among academia, but especially within the public and the business world. At business school, students in the first semester are taught the essential necessity of the profit maximisation principle. Without it, no economic models would exist and the firm would not be able to operate (Mankiw & Taylor, 2006, p. 270). The fundamental nature of profit as a source of capital and generation of return on investment is critical for the firm’s survival. It can be compared to a simple allegory stating; profit maximisation as the same for the firm as “food" and “water" for the living organism (Handy, 2002, p. 5).  What makes this perspective for the purpose of the firm truly compelling is its simplicity. Essentially, it can be broken down onto one single figure, on the bottom of a firm’s income statement, the colloquial ‘bottom line’. If positive, the firm generates a profit, if negative the firm incurs a loss. This argument does not only have a business background, but can also underlie an ethical and philosophical argumentation, first made by Adam Smith in his book “An inquiry into the Nature and Causes of the Wealth of Nations" commonly referred to as the “Invisible Hand Argument". It states, by following its own interests, which for the firm means maximising its return, not only wealth for the firm is generated, but for society as a whole through the “magical workings" of the free market (Bishop, 1995, p. 165). Assuming the invisible hand argument is true, empirically valid, and utility of the public is best served through firms pursuing the maximisation of their own utility one could draw a moral argument. In Adam Smith’s work on the “Wealth of Nations" the moral implications are not discussed, and therefore assumed to be morally neutral (Bishop, 1995, pp. 5-6). However, several academics, including Milton Friedman, see a moral collateral arguing if it is in the best interest of the public to pursue one’s own interest, it becomes “morally good" and consequently to do good everybody ought to follow this imperative (Bishop, 1995, p. 167). Projecting this argument back to the profit maximisation principle of the firm, Jensen concludes in his article, Corporate Responsibility: The stakeholder Paradox Reconsidered: “The higher profits, the higher revenue and taxes, and the greater are the possible contributions to the common good" (Jensen, 2007, p. 516). This is precisely the notion a majority of corporate executives rely on when stating the importance of profit maximisation, not only for the firm, but business as a wealth creator for society as a whole, relying on the invisible hand (Bishop, 1995, p. 170). Besides the importance of profit maximisation, another argument for the purpose of business can be associated with the narrow perspective of the firm: The relationship between business and its shareholders. This argument inhabits a special attention in academia and business, due to the ownership structure of the corporation. The general notion behind the argument is the idea of asking, what is in the best interest of the owners of the corporation. This is a sensible question, as the shareholders are the main providers of capital for the firm and management is installed to operate the day to day business within the alignment of shareholder needs, therefore one could argue the main entity the firm owes responsibility to are its owners (Sternberg, 2009, pp. 6). Most annual reports do directly address the shareholders, as these are the ones management is liable to. Among them: Deutsche Bank AG, 2014; General Motors, 2014; Microsoft Corporation, 2014; Pfizer, 2014. The idea behind the corporate firm is a separation of management and ownership. Individuals, governments, institutions and firms have the possibility to acquire shares on the capital markets of stock listed firms and thereby provide the corporation with a source of capital for its operations and investments. For their investment and trust in the management of the firm, the owners require a return that is often visualised in dividends or primarily an increase in value of the stock. Thus, one could draw the conclusion that “[...] the preferable goal of the firm should be the maximisation of shareholder wealth" (Scott & Keown, 1999, pp. 2-3). This perspective is grounded on a philosophical and legal foundation, “the theory of property & ownership", in brief arguing that the destined owner of a “private property" is entitled to do with his property what he or she considers best even if that means disregarding the interests of society (Zalta, 2012). Beginning with the broad perspective of the purpose of business, it would be only sensible to have a look at the other groups affected by the firm’s actions apart from shareholders. Thus, we are looking here at the greater environment of the firm and the different parties sharing that environment and having an interdependent relationship to the business. In the journal article “Persons, Rights and Corporations”, Werhane uses a revealing term and allegory to describe these interactions, he refers to them as “organisms” (Werhane, 1988, p. 45). Meaning that they interact with their environment triggering responses and causing effects onto other organisms in the system and vice versa. To quote Johnson et al. in their book “Exploring corporate strategy”: “The environment is what gives organisations their means of survival” (Johnson, Scholes, & Whittington, 2008, p. 54). The stakeholder theory is grounded on this very perspective of a broader environment of business. Due to the extensive research on the topic, we can only give an overview about the different argumentations, focusing on the work of Freeman, Donaldson, Preston and Johnson et al. The field of stakeholder management can be categorised into three different argumentations backing the theory. One based on “social contract theory”, with contributions by Donaldson & Dunfee, 1994, 1999; Donaldson & Preston, 1995; Freeman, 1994; Freeman & Evan, 1990; Sacconi, 2004, 2007, secondly, “distributive justice” contributed by Blair, 1995; Donaldson & Preston, 1995; McMahon, 1995; Van Buren III, Harry J., 2001; Velamuri & Venkataraman, 2005 and thirdly “the concept of fairness [and justice]” by Phillips, 1997; Rawls, , c1971. The basis of stakeholder theory is backed by contributions in the fields of law, philosophy, ethics and strategic management. Donaldson and Preston propose in their article “The stakeholder theory of the corporation: Concepts, evidence and implications” a way of dividing stakeholder theory into three different kinds of analysis, a “descriptive analysis”, an “instrumental analysis” and a “normative analysis” (Donaldson & Preston, 1995, pp. 70-88). We will follow this approach out of reasons of simplicity and structure, diverging from the view of Freeman, one of the early contributors of stakeholder management, who mainly focuses on one analysis based on strategic management (Freeman, 1984). The stakeholder theory has grown too extensively to only mention this argumentation. The descriptive analysis is mainly concerned with identifying who the relevant stakeholders are. A general definition of the term “stakeholder" is needed. The first definition is found in Freeman’s “Strategic Management: A stakeholder approach" published in 1984, taken from the Stanford Research Institute, which set up the definition in 1963, and quoted by Freeman and Reed in “Stockholders and Stakeholders": “Those groups without whose support the organisation would cease to exist" (Freeman & Reed, 1983, p. 89). Thus, somehow the success of the organisation and the stakeholders are tied together. And given the descriptive view, the most commonly identified stakeholder groups are customers, employees, investors (shareholders), communities (society), governments, political groups (NGOs) and trade associations (Donaldson & Preston, 1995, p. 69). This categorisation has been debated from the start and is mostly decided on the corporate level, which stakeholders will be considered in management’s decision making. Carroll provides in his journal article “The pyramid of Corporate Social Responsibility: Toward the Moral Management of Organisation Stakeholders" a “stakeholder matrix" to allocate stakeholders onto one of the four components of the CSR pyramid, “economic", “legal", “ethical" and “philanthropic" (Carroll, 1991, p. 44). The only issue when identifying stakeholders is the difficulty, how narrow or broad one intends to set the boundary. At one point it might become debatable whether these are still legitimate stakeholders of the firm, e.g. competitors, job applicants and the media. Freeman and Carroll are generally more liberal in their view, (Carroll, 1991; Freeman, 1984) whereas Donaldson and Preston follow a contract based perspective, that could be considered as too narrow (Donaldson & Preston, 1995). To debate the arguments of the two is outside the scope of this analysis. Several studies have been focusing on the empirical justifications of stakeholder theory among those Brenner & Molander, 1977; Clarkson, M. B. E., 1991; Halal, 1990; Posner & Schmidt, 1992. Continuing with the second perspective presented by Donaldson and Preston, referred to as the “instrumental perspective” (Donaldson & Preston, 1995, pp. 71-85) the main focus lies here on the relevance of stakeholders for business strategy and thereby orienting itself on the original idea of stakeholder management by Freeman (Freeman, 1984). Johnson et al. connect in the book “Exploring corporate strategy" strategic positioning with stakeholder management in saying “strategic position is concerned with the impact on strategy of the external environment an organisation’s strategic capability (resources and competences) and the expectations and influence of stakeholders" (Johnson et al., 2008, p. 13). The instrumental perspective of stakeholder management is also aligned to risk management functioning as an ‘insurance’ to the firm and the success factors of their strategy “to proactively take shareholder reactions into account before the consequences might play out and affect the accomplishment of the organisation’s objectives" (Jensen, 2007, p. 517). One of the common tools to test the implications of stakeholder’s reactions on the firm is the PESTEL analysis, evaluating the firm’s relationship within political, economic, social, technological, ecological and legal spheres (Johnson et al., 2008, pp. 55). The instrumental analysis is looking at the opportunities, but also the threats stakeholders can bring to the organisation and trying to leverage and mitigate those. Thereby, the focus is on creating win-win relationships among stakeholder groups and the firm. Quoting Freeman out of the book Conscious Capitalism: “Managing for stakeholders is not about trade-off thinking. It is about using innovation and entrepreneurship to make all key stakeholders better off and get all of their interests going in the same direction" (Conscious Capitalism, 2013, p. 70). The normative analysis provides a deeper interpretation of stakeholder management searching for ethical and philosophical arguments demanding an orientation towards a broad perspective of business. Donaldson and Preston argue for instance that due to their interests in corporations, stakeholders possess “[...] legitimate, intrinsic value" (Donaldson & Preston, 1995, p. 67, p. 74, p. 81). This value is generally justified through Kant’s categorical imperative, arguing that human beings should always be treated as ends, never as means to an end (Kant & Gregor, 1996). By their pure nature as human beings stakeholders should never be used for instrumental business ends only, if there is a positive business impact this could be only seen as a side-effect, but the normative view onto stakeholders is non-questionable given this interpretation. Another argument for a normative perspective lies within social contract theory, as “[s]ociety has high expectations for corporations, and because they are allowed to exist and operate freely, corporations have obligations to achieve these expectations" (Werhane, 1988, p. 42). Thus, due to the fact that firms are allowed to engage within a free market, they need also to reward the greater public through their value generating activities. The normative perspective especially comes into play, when seeing the organisation as a “conscious corporation" (Chong, 2013; Mackey & Sisodia, 2013; Rauch, 2011). Here the normative importance of stakeholders is mostly promoted and widely shared within the firm as stated in the book “Conscious Capitalism", “[stakeholders make up a company" (Mackey & Sisodia, 2013, p. 72). They include all the people who affect and are affected by a business. “We must honour them as people first before treating them according to the role they happen to be playing" (Mackey & Sisodia, 2013, p. 72). Donaldson and Preston see the normative analysis of stakeholder management as the core of their model, with all the three analyses combined within. The descriptive aspect acknowledges the firm’s broad environment, supported through the instrumental and normative perspective. As the firm acknowledges the normative perspective, the moral argument of the theory is verified, stating the intrinsic value, stakeholders inhabit (Donaldson & Preston, 1995, p. 74). The deeper we dive into the broad perspective of the purpose of business, the blurrier the lines between profit and non-profit become. Hence, the question might arise, how sensible and adequate it would be to continue relying on conventional reporting mechanisms, mostly based on the bottom line and the financial performance of the firm. Due to the expanded purpose of the business, incorporating also a stakeholder perspective, one might argue financial reporting as it is pursued today does not capture the entire picture of the firm’s operations (Milne & Gray, 2013). Companies and their stakeholders still need to adequately measure the performance of the firm in order to facilitate evaluation and growth. To quote the famous sentence, “[i]f you can’t measure it, you can’t manage it" (Kaplan & Norton, 1996). The triple-bottom line concept was developed, intending to capture the entire picture of business operations. The term is defined as, “[...] an accounting framework that incorporates three dimensions of performance: “Social", “environmental" and “financial" (Slaper & Hall, 2011, p. 4). It is also referred as the three Ps: “People", “planet", “profits" (Milne & Gray, 2013, p. 18). Triple- bottom line reporting therefore fits to the sustainable operations of the firm, as in comparison to stakeholder management, the environment is among one of the three dimensions. The term “sustainable development" was first defined in 1987 in the so- called Brundtland Report, titled “Our common future," referring to sustainable development as “[the] development that meets the needs of the present without compromising the ability of future generations to meet their own needs" (Report of the World Commission on Environment and Development: Our Common Future, 1987, p. 16). Triple bottom line reporting picks up on this definition, elevating social responsibility and environmental responsibility on the same level as profitability (Norman & MacDonald, 2004, pp. 234). The special situation of TBL however is that there are no universal standards, how a TBL report should precisely look like and what aspects to include. This gives it a certain degree of flexibility as Slaper and Hall argue, “[a]Mow[ing] user[s] to adapt the general framework to the needs of different entities (businesses or non-profits), different projects and policies (infrastructure investment or educational programs), or different geographic boundaries (a city, region or country)" (Slaper & Hall, 2011, p. 5), but it also complicates enforcement and comparability. Norman and MacDonald have put out three arguments for adopting TBL reporting. First, the “convergence claim", arguing that measuring social performance helps to improve social performance and firms with social performance tend to be more profitable in the long run (Norman & MacDonald, 2004, p. 246). Secondly, the “social obligation claim", stating that firms have an obligation to maximise their social bottom line, their net positive social impact and accurate measurement is necessary to judge how well they have fulfilled this obligation. And thirdly, the “transparency claim", arguing that the firm has an obligation to stakeholders to disclose information about how well it performs with respect to all stakeholders (Norman & MacDonald, 2004, p. 246). Closing this entire section on the broad perspective of business, a quote by Werhane out of “Persons, Rights and Corporations" expresses well the entire message, stating that “[corporations cannot make the excuse that they are merely economic organisations, an excuse that is, moreover actually damaging to corporations, because it forces society to regulate them" (Werhane, 1988, p. 76). In its entirety, the broad perspective promotes a “Hand of Management" view (Goodpaster & Matthews, 1982, p. 4), encouraging corporations to act and define their social responsibility agendas by themselves leaving room for entrepreneurial creativity and freedom to maximise collective value creation. The entire theory of property is too extensive for this analysis, building on philosophers and legal theorists from Aristotle and Sinclair (1981); Hegel, Georg Wilhelm Friedrich (2002); Hume (2003); Hobbes (2009); Rawls (, c1971); Plato, Lee, H. D. P, and Lane (2007); to Grey (1980). The listed order of the stakeholders is deliberately alphabetical to stress that the higher importance of one over all the others depends on individual argumentation and is not part of the descriptive analysis. Although, not “human beings” per se, organisations and other bodies counted as stakeholders, such as governments and NGOs, act representatively for the human beings they represent. Named after the former Norwegian prime minister Gro Harlem Brundtland, who was chairing the United Nations World Commission on Environment and Development (WCED) in 1983. Progress has been made in this area with the Global Reporting Initiative and sustainability indices on the rise, such as the “DOW Sustainability Index”, promoting a wider application of the concept, reaching public exposure and drafting of standards, Hall and Slaper however criticise, "[h]ow to make an index that is both comprehensive and meaningful and how to identify suitable data for the variable that compose the index?” (Slaper and Hall 2011, p. 6).